Not all quarterbacks in the NFL are destined for greatness. Some have a few good years starting, then retire and enter civilian life. Others spend the ends of their careers as backup quarterbacks or playing in the Indoor Football League. And what about when the shoulder pads finally come off? Not every former player ends up as an analyst on ESPN like Matt Hasselbeck. David Garrard became a small business owner. Do remember when he was the quarterback for the Jacksonville Jaguars? And if you ever wondered what happened to Jason Campbell, you’ll know soon enough! Plus, we’ll cover your favorite Pro Bowl quarterbacks and show you what they are doing now. 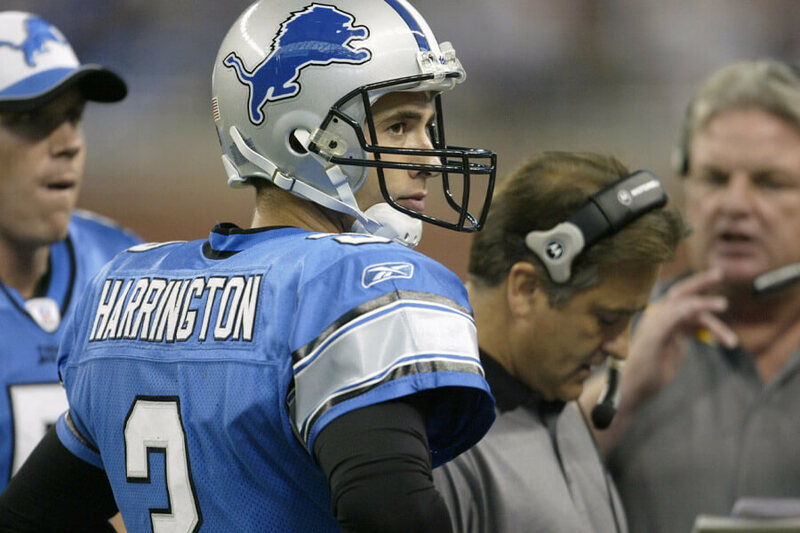 After an uneventful six-year NFL career with the Detroit Lions, Dolphins, Falcons, and Saints, Joey Harrington turned his attention to helping struggling students. While working as an analyst for FOX Sports, Harrington founded the Harrington Family Foundation with the goal of alleviating college costs in Oregon. Why Oregon? It’s where Harrington played college football, going 25-3 in his career and nearly winning the Heisman Trophy. The Lions were so impressed they drafted him second overall in 2002. When his college skills didn’t translate to the NFL they traded him for a fifth-round draft pick from the Dolphins. If you watched the Arizona Cardinals in 2017, then you know exactly what happened to Byron Leftwich after taking his cleats off. Starting out as a quarterback coach intern in 2016, Leftwich was given the full-time coaching gig in 2017. He has his work cut out for him now with rookie quarterback Josh Rosen under center in the desert in 2018. During his playing days, Leftwich was frustratingly inconsistent and injury prone. He’d look elite one week, then like a draft bust the next. 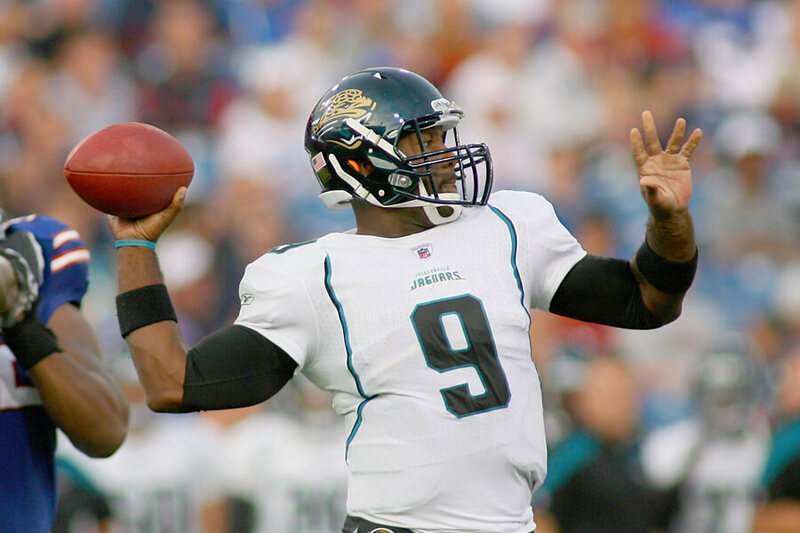 After four years in Jacksonville, the team released him in favor of another quarterback on this list: David Garrard. Since retiring from the NFL, Jeff George has stayed fairly quiet. Every now and then he’ll make an appearance on television, but for the most part, he lets the spotlight fall on Jeff George Jr. The young George currently plays quarterback at the University of Michigan and sports a mullet similar to his fathers. 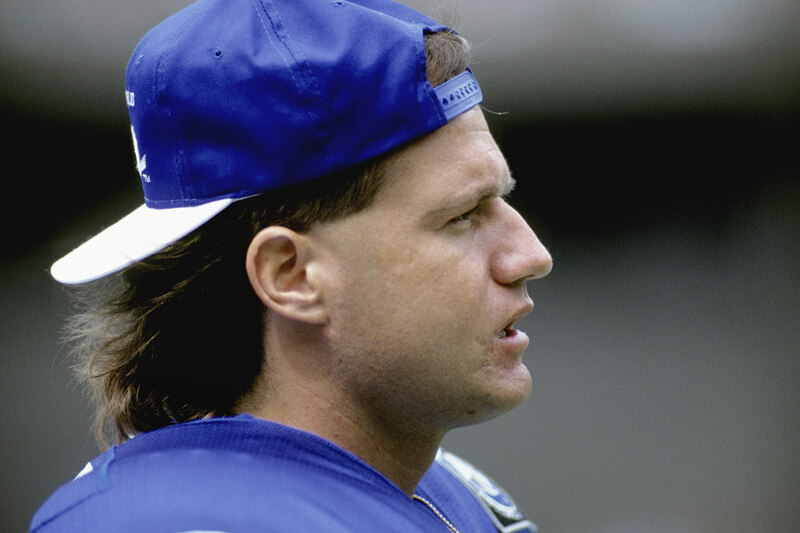 While playing for Indianapolis, fans were split on how they felt about Jeff George. He had incredible arm talent, which they loved. He also had a terrible attitude, which they hated. Everyone always agreed how glorious his mullet was, though! This one shouldn’t be surprising. If you watch FOX Sports on Saturdays or Sundays then you know Brady Quinn works as a full-time College Football and NFL analyst for the network. He also runs the 3rd and Goal Foundation, an operation dedicated to helping veterans find housing. Drafted by the Cleveland Browns in 2007, Quinn ended his career with 12 touchdowns and 17 interceptions. It would have been fair to call him on a bust after setting 36 Fighting Irish records for Notre Dame. Now with a successful post-NFL career, it’s impossible to call him a bust. David Garrard is coming up soon! David Garrard has become a very successful gym owner in recent years. Leaving the NFL and investing in several Retro Fitness locations has paid dividends for the former Jaguars quarterback. He also works tirelessly to bring awareness to Crohn’s disease, an affliction he has battled his whole life. Garrard, if you remember, took over as the starter in Jacksonville after Byron Leftwich was released. He was an instant success and was voted to the Pro Bowl in 2009. Unfortunately, his body couldn’t handle the rigors of the NFL and he was officially given his release papers with the drafting of Blaine Gabbert in 2011. Jason Campbell may have taken the idea of retirement too seriously. He replaced his helmet and pads with a golf cart and clubs in 2013. Living in Atlanta, Campbell has found a cozy life since taking a beating for the Redskins. He hasn’t fully left football behind, though, and coaches the quarterbacks for a local high school. 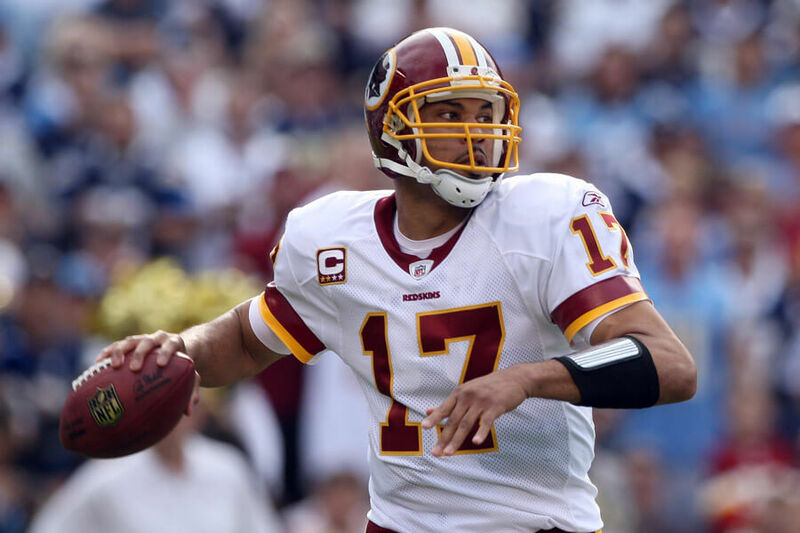 Washington drafted Jason Campbell with the 25th overall pick in 2005. Like those before him, he showed flashes of brilliance before flaming out. The Redskins traded him to Oakland in 2010 where injuries derailed a promising fresh start. Coming up, Kyle Orton may have been a ghost because no one can find him! When Kyle Orton retired from the NFL he literally disappeared. He packed his bags and told teammates he had a meeting to attend. He never came back. Since then, a clean-shaven family man who kind of looks like Orton has shown up on social media looking happy with how things turned out. Orton played in the NFL for ten years and served as the starting quarterback for the Chicago Bears, Denver Broncos, KC Chiefs, and Buffalo Bills. He finished his career with 18,037 yards, 101 touchdowns, and 69 interceptions. 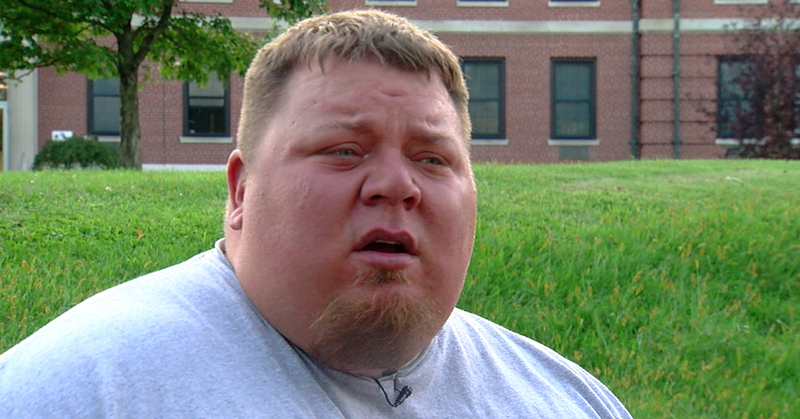 Jared Lorenzen was never small, but when he retired from football and reached 500 pounds, he knew he had a problem. To battle his weight, he started the Jared Lorenzen Project to document his battle with the bulge. Since launching, Lorenzen has lost over 100 pounds. During his college days, Lorenzen broke records while leading Kentucky. He found the transition the NFL tough at 330 pounds rough, though, and ended up playing in the Indoor Football League before taking off his helmet for good. Jake Locker lives the simple life these days. Settling down with his wife and kids on a farm in Washington, the former Titans’ starter is happier than ever tending to his crops. He also enjoys hunting his dinner instead of running away from fans hunting him down for an autograph. 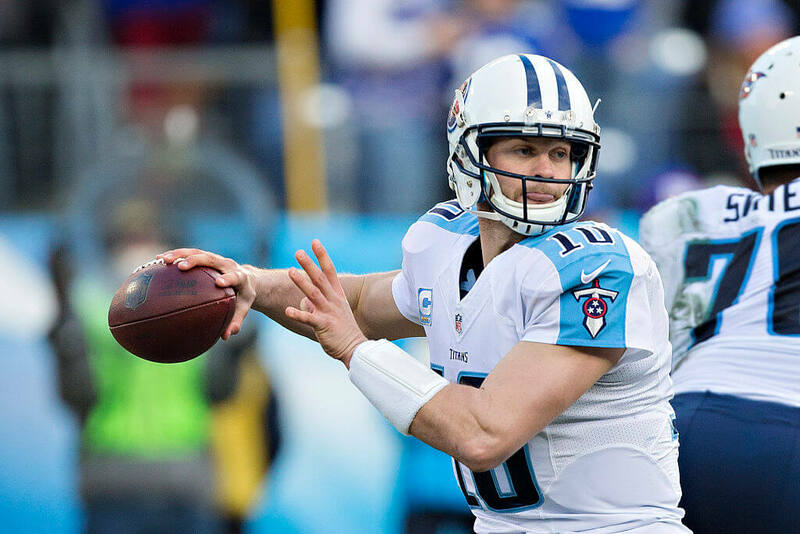 Of all the quarterbacks on this list, Jake Locker might have had the most potential. Drafted eighth overall by Tennessee in 2011, Locker was electric on the field. The problem was he couldn’t stay there. Over four seasons, he started a total of 23 out of 64 games because of injury problems. 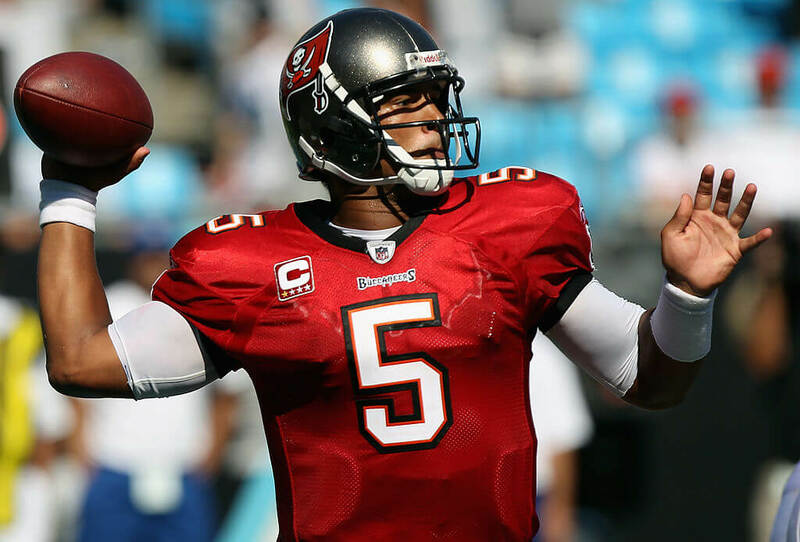 We’re not sure if Josh Freeman ever officially retired from the NFL, but we know the end of his career was so bad no team will take a chance on him today. Oddly enough, when it looked like his playing days were over, Freeman was offered a two-year contract to play in Canada. He declined the offer, and no one has heard from him since. The starting job in Tampa Bay belongs to Jameis Winston now, and it won’t take him long to pass Freeman as the franchise leader in touchdowns. Still ahead, we reveal the fate of Daunte Culpepper! 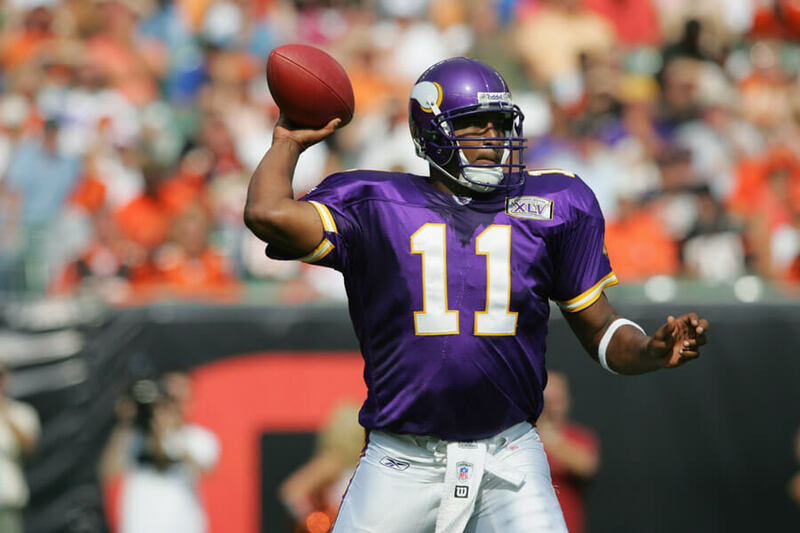 Few quarterbacks on this list fought as hard to stay in the NFL as Daunte Culpepper did. When no one would sign him, he attempted a comeback with the Sacramento Mountain Lions of the UFL. When the comeback failed he switched careers completely and entered the restaurant industry. So far, Culpepper’s story doesn’t have a happy ending. His restaurant in Florida was forced to close down recently. He also was forced to sell one of his mansions in the process. 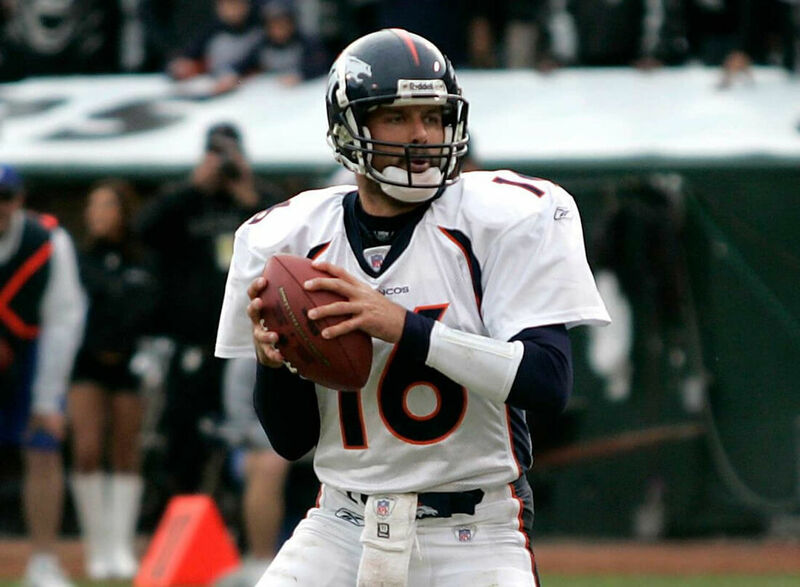 Culpepper has fallen far since leading the NFL in passing touchdowns in 2000. 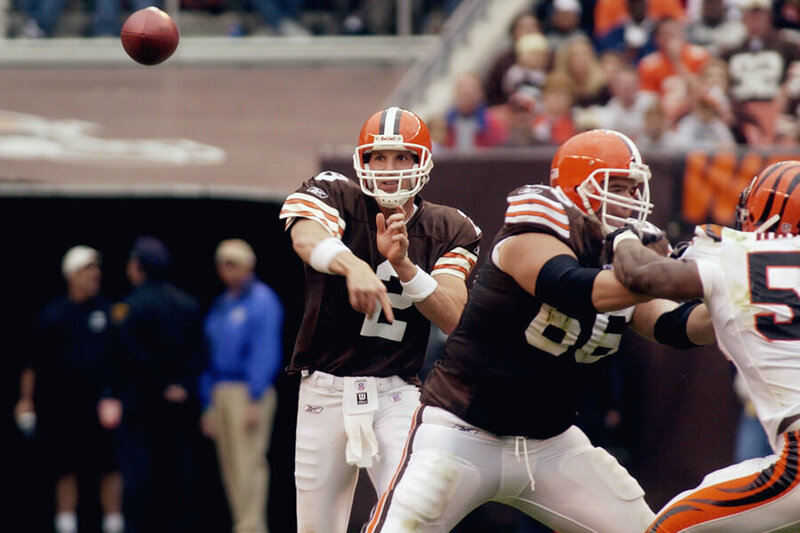 Tim Couch’s career has come a long way since was taken first overall by the upstart Cleveland Browns in 1999. He fizzled out in the NFL after four years, unable to carry the weight of Cleveland on his shoulders. Since then he has found a comfortable niche as an analyst for the SEC. If you’re interested in hearing what Couch has to say, make sure to tune in to FOX Sports South’s show SEC Gridiron Live every week. If you need even more Tim Couch in your life, he also joined the Browns color commentary team in 2018. 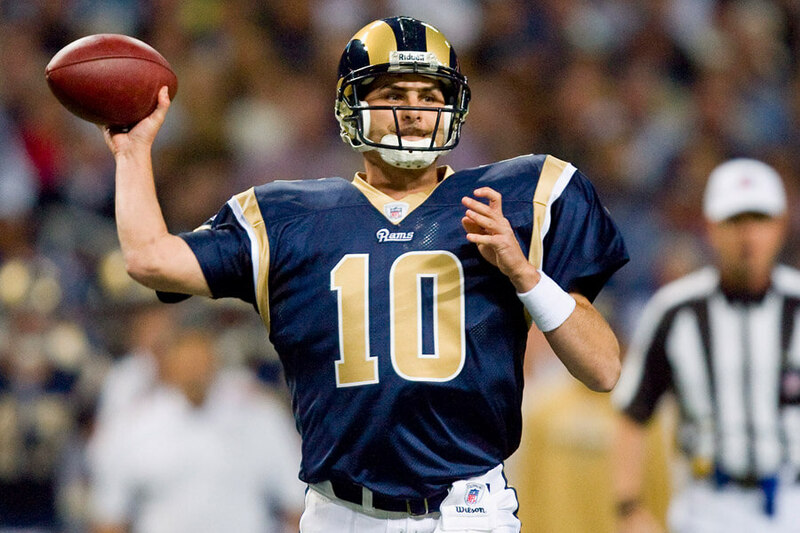 Marc Bulger looks nothing like the St. Louis Rams starting quarterback he used to be. These days he’s making an honest living as a farmer in Southeast Missouri. He also started the Marc Bulger Foundation, a non-profit he uses to give money to organizations that help veterans and children. Before living the simple life, Bulger was a pro-bowl quarterback who stole the starting job in St. Louis from Kurt Warner. He might be the only quarterback on this list who forced a future Hall of Famer out of town; Warner, remember, ended his career as the starter in Arizona. 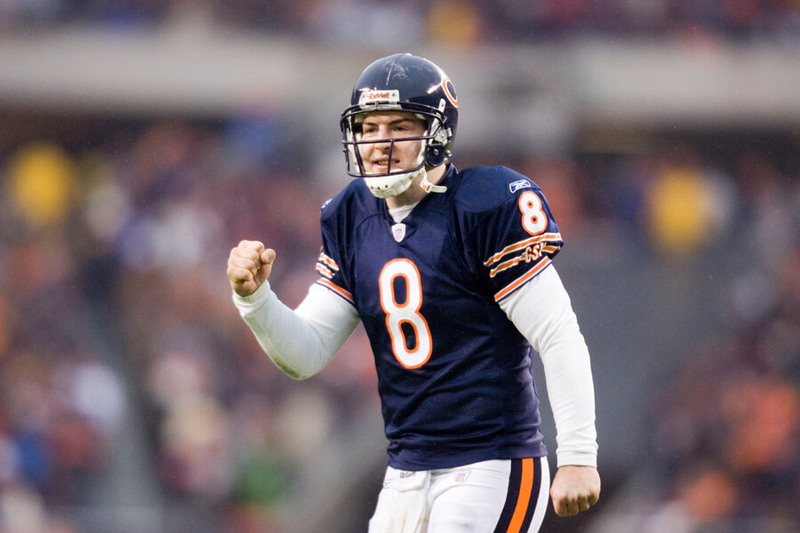 Next, we bet you’ll never guess what industry Rex Grossman is in now! Now that Rex Grossman is no longer slinging the ball down the football field his career has taken a complete left turn. In 2009, he and his wife founded Florida Medical Staffing, a company that helps traveling nurses find employment in Florida. 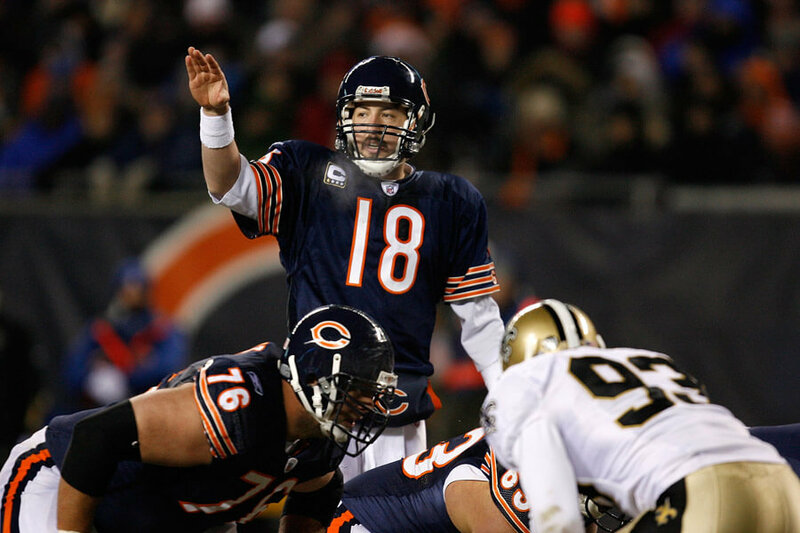 As a high round draft pick by the Chicago Bears, his NFL career did not work out. You can argue that he was the starting quarterback for Chicago in a Super Bowl, but the defense carried that team. He eventually lost the starting job to Kyle Orton, too. Jeff Garcia misses his days in the NFL. He retired in 2011 but can’t stay away and is currently working his way into the coaching world. So far no teams have hired Garcia as more than a consultant, but several quarterbacks, including Tyrod Taylor, have worked with him to improve their mechanics. 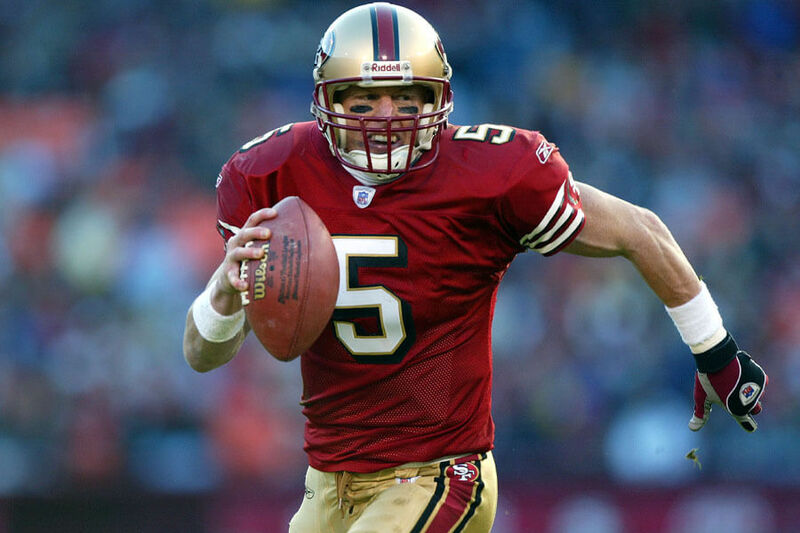 Breaking out with the 49ers in 2000, Garcia looked to continue the tradition started by Joe Montana and Steve Young. The tradition ended in 2003 when the team let Garcia sign with Cleveland in free agency after missing the playoffs. 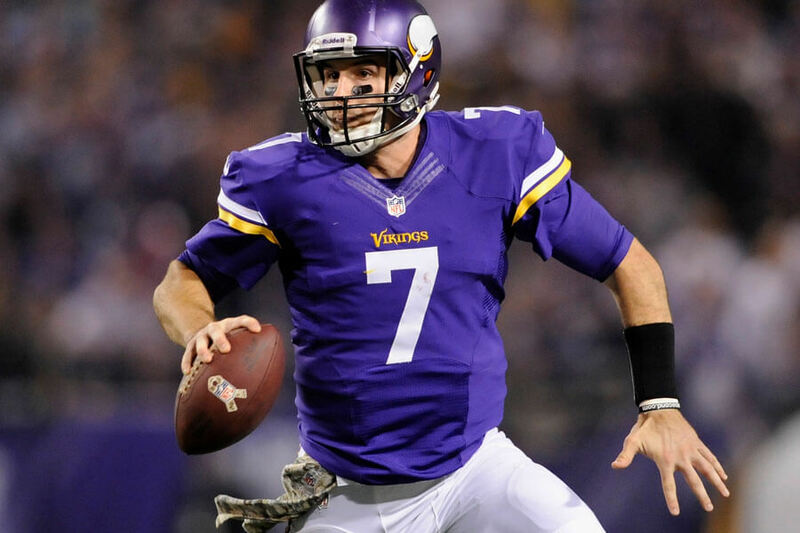 Ahead, the story of how Christian Ponder became a stay at home dad. Okay, we can’t confirm if Christian Ponder has become a stay at home dad in retirement, but we think he’d a be a pretty cool one. After Ponder retired he married ESPN personality, Samantha Steele. The couple have two kids together and Ponder has stayed out of the public eye while raising them. Drafted in 2011 by the Vikings, Ponder’s disastrous tenure with the team was marred by poor play and horrific injuries. Minnesota released him after a few seasons and he suited up for the 49ers and Raiders as a backup before giving up the gridiron for good. Few quarterbacks failed to live up to expectations like David Carr. He was supposed to catapult the Houston Texans into Super Bowl contenders. Instead, he was sacked a record number of times and ended up drifting from team to team failing to be more than a “camp arm” by the end of his career. Finally, after years of trying, David Carr has found a home. He works as an analyst for the NFL Network, helping breakdown Sunday games with other former players and debate moderators. Next, Jon Kitna took the long road to coaching. You don’t last in the NFL for 14 seasons without having talent. 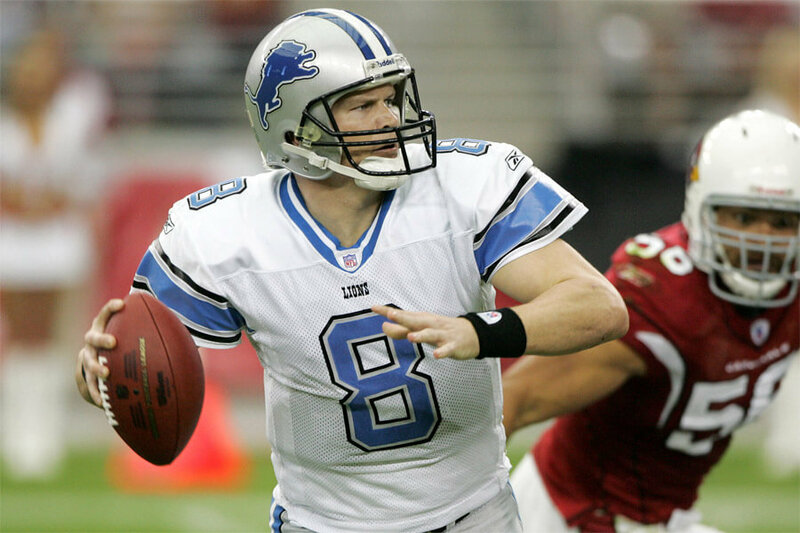 Jon Kitna might be the best backup quarterback of all-time. He was a gunslinger without fear. If he threw an interception on one drive, he’d come back on the next one and throw a touchdown. His life after the NFL hasn’t been filled with the same ups and downs, but it has been interesting. Kitna moved to Washington and began coaching at the high school level. After four successful years, he moved into college coaching. One day he might just end up back in the NFL if he’s not careful! Chad Pennington settled back into high school after going from college to the NFL. It might sound backward, but Pennington is right where he wants to be. In 2018 he joined the Sayre School in Kentucky to help restart their dormant football program. 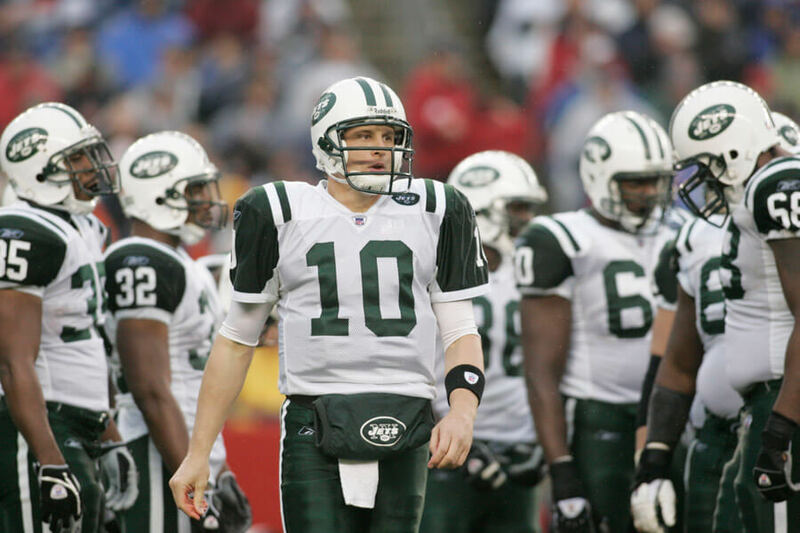 Like a few before him, Chad Pennington could have been an elite quarterback. When he was healthy he was great, leading the Jets and Dolphins to the playoffs years apart. When he was recovering from surgery, which he usually was, the best he could be was an extra voice in his successor’s ear. 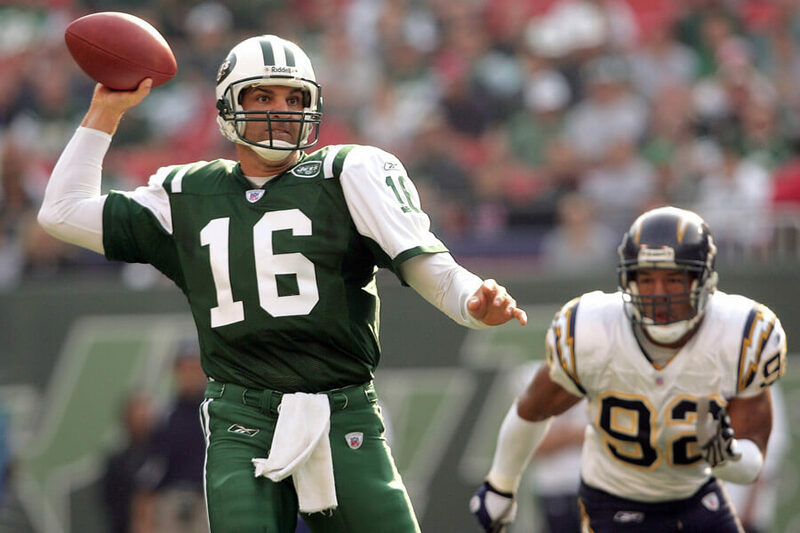 After retiring from a 21-year NFL career, Vinny Testaverde is enjoying life outside of the limelight. He has dipped his feet into high school coaching, but mostly enjoys a quiet life free from crowd noise. We don’t blame him after looking back at his career. Testaverde was drafted by the Buccaneers in 1987 with sky-high expectations. Over his decades-long career, he bounced around to seven teams, finding his most success with the Jets from 1998 to 2003. He even led the Jets to the 1998 AFC Championship Game, losing the Super Bowl winning Denver Broncos. 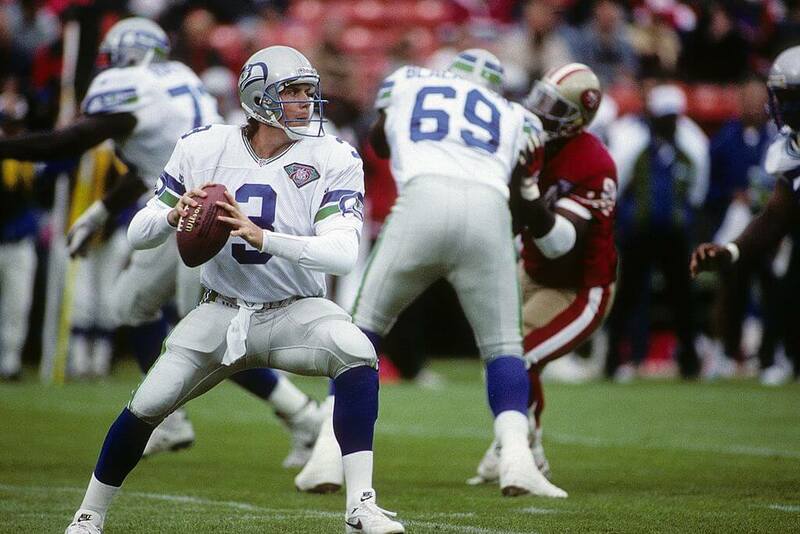 The name Rick Mirer might not shoot to the top of your NFL quarterback list but he did manage to play in the NFL for 10 years from 1993-2003, with his longest stretching lasting four years with the Seattle Seahawks. While playing with the San Francisco 49ers, Mirer realized he really enjoyed the wine business and became the head of the Mirror Wine Company in St. Helena, California. The winery is located just 66 miles from his former football team, allowing him to still enjoy the game he played for a large part of his life. Rodney Peete had a respectable NFL career with a handful of teams included the Detroit Lions, Dallas Cowboys, Philadelphia Eagles, Washington Redskins, Oakland Raiders, and Carolina Panthers. When he finished his NFL career with a 45-42 winning record, he set off with his wife, actress Holly Robinson, to do some good in the world. He is now the President of HollyRod Entertainment and co-founder of the HollyRod Foundation, an organization that helps people with autism and Parkinson’s disease. We’ve seen quarterbacks who nearly broke it big and found success with new careers but what about superstars who retire? Here’s what some of the greatest NFL QB’s of all-time are up to today. 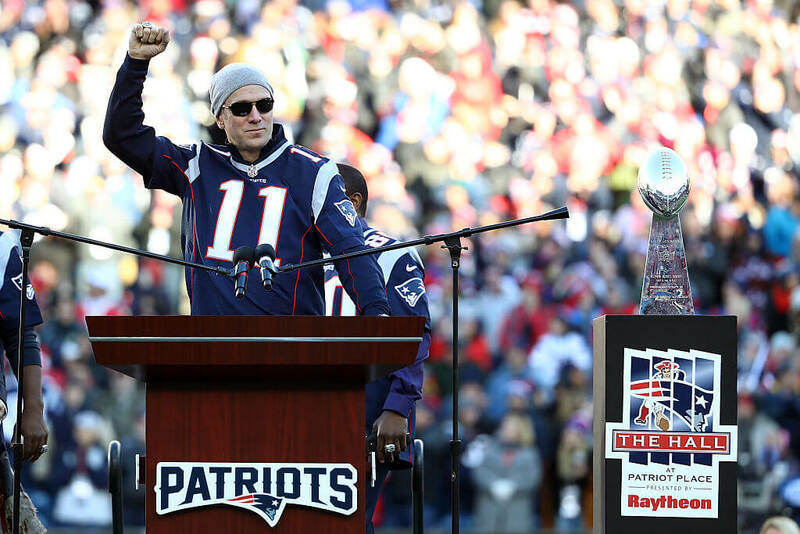 Drew Bledsoe may be overshadowed these days by Tom Brady but before the team’s new superstar QB took over, Bledsoe was drafted as the number one pick in the 1993 NFL draft. 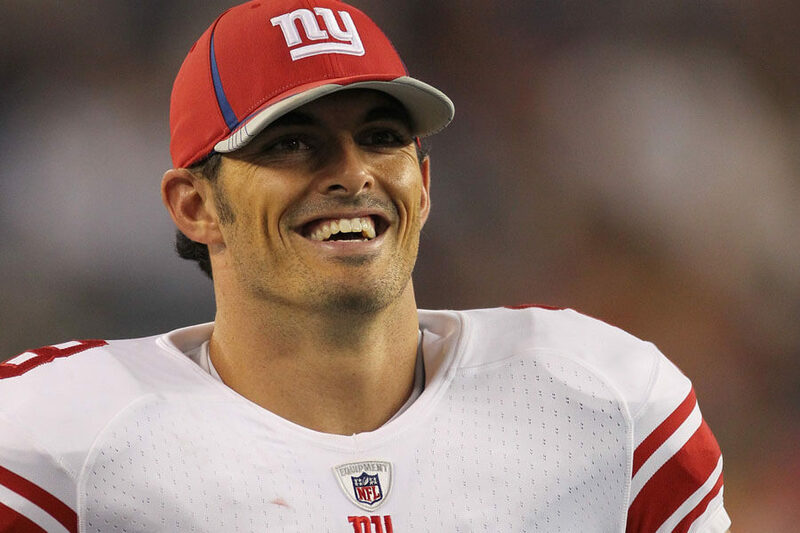 He quickly gained fame by becoming the youngest quarterback ever selected for the Pro Bowl. Bledsoe also brought his team to six straight playoffs after they missed the post-season eight years in a row. After retiring in April 2007, Bledsoe started a vineyard business known as Doubleback, an estate focused winery that produces Cabernet Sauvignon from the Walla Walla Valley, Drew’s hometown. His family then built the Bledsoe Family Winery – a sister project to Doubleback. His wine empire continues to grow in 2018. 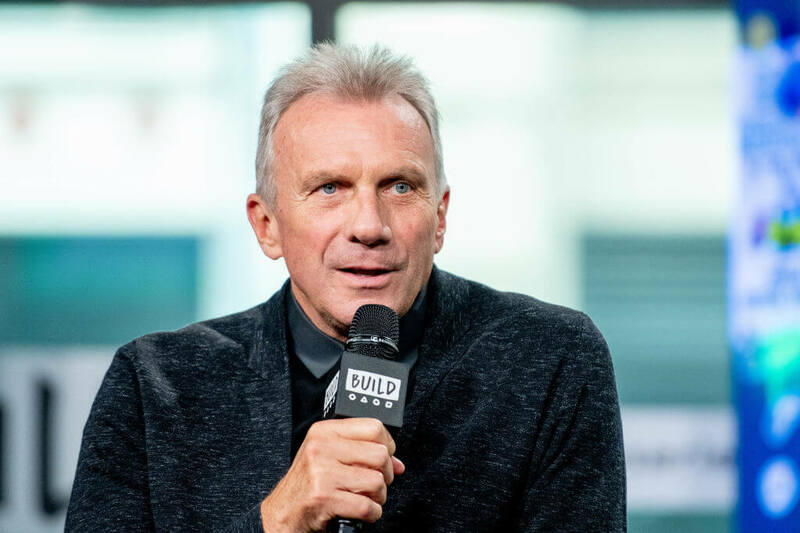 Joe Montana had an incredible professional football career that spanned more than 20 years and included four Super Bowl wins with the San Francisco 49ers. After more than a decade since he retired, Montana still appears in commercials and endorses various products. Even without his endorsements, Montana could make a ton of money just by chatting with strangers. The famed NFL QB is paid $50,000 for speaking at public events. Just like his QB-counterpart, Drew Bledsoe, Montana also owns a winery in Napa Valley. Be sure to check out Montagia Wines if you’re ever in the area. When Brett Favre retired it’s almost as though he was still in the NFL. 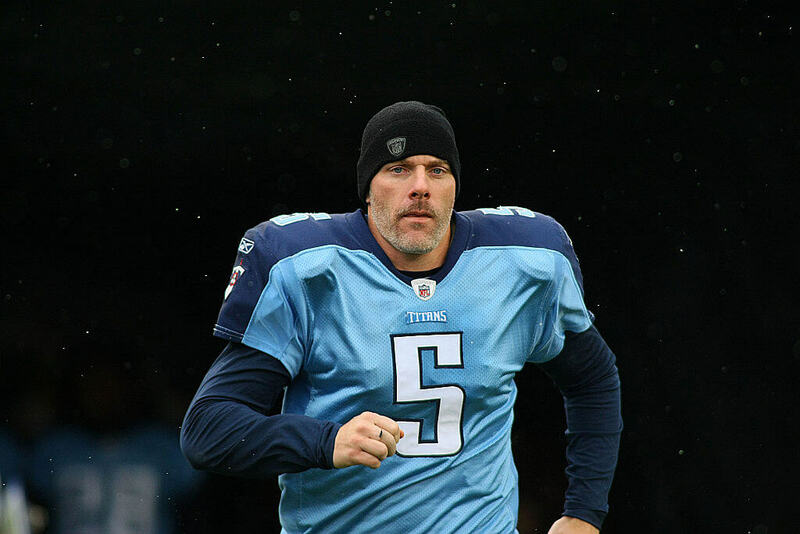 Favre could still be seen endorsing Nike, Wrangler, MasterCard, and various other products, a trend that continues today. 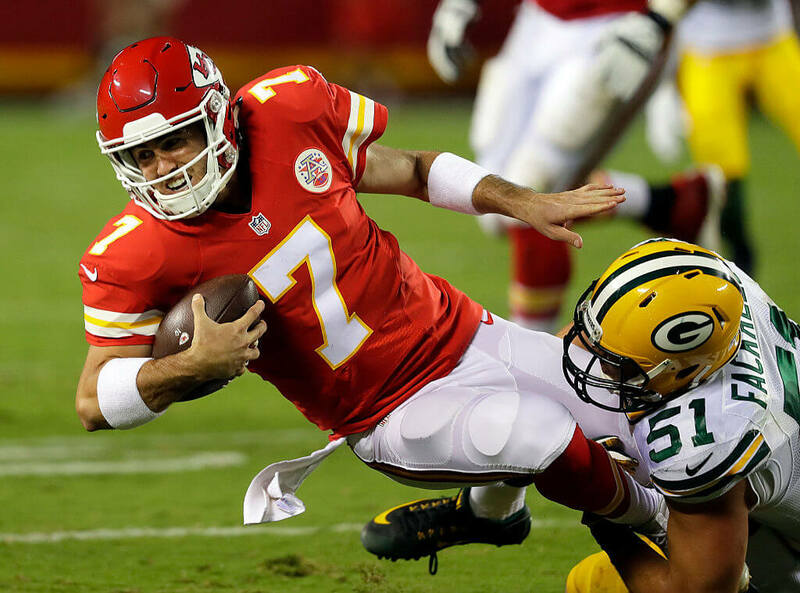 The Super Bowl-winning quarterback was always somewhat of a farm boy, even playing with the Green Bay Packers so it’s no surprise where his career has taken him. Favre is currently the owner/operator of a steakhouse in Green Bay, Wisconsin. He also took a liking for appearances every Tuesday on the “SiriusXM Blitz” radio show. Favre even spent the 2012 and 2013 football seasons as the offensive coordinators for the Oak Grove High School’s football team. Roger Staubach is an NFL legend who brought his team multiple Super Bowl wins before he was inducted into the Pro Football Hall of Fame. It was following his career, however, where Staubach found his second calling and earned a massive fortune. 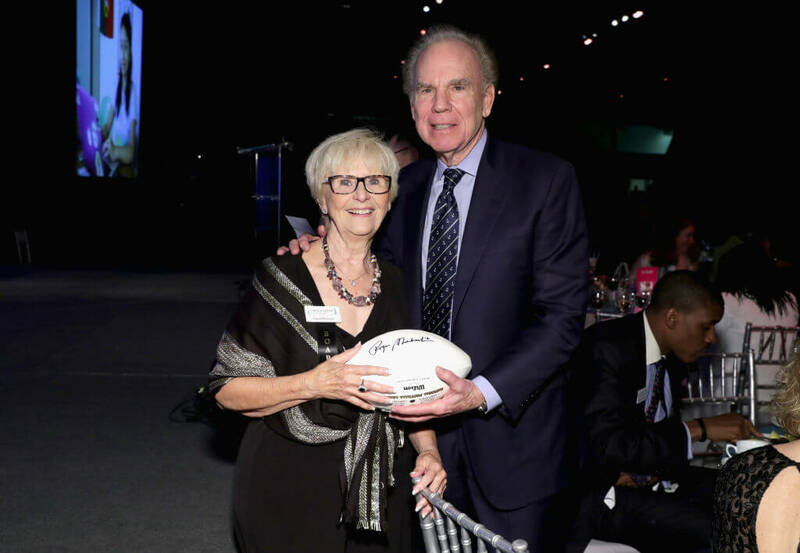 In 1977, before he even retired, Staubach started a commercial real-estate company known as The Staubach Company. In 2008, he sold the company to Jones Lang LaSalle for an impressive $613 million. These days he’s retired but has his hands full with 15 grandchildren and two great-grandchildren. 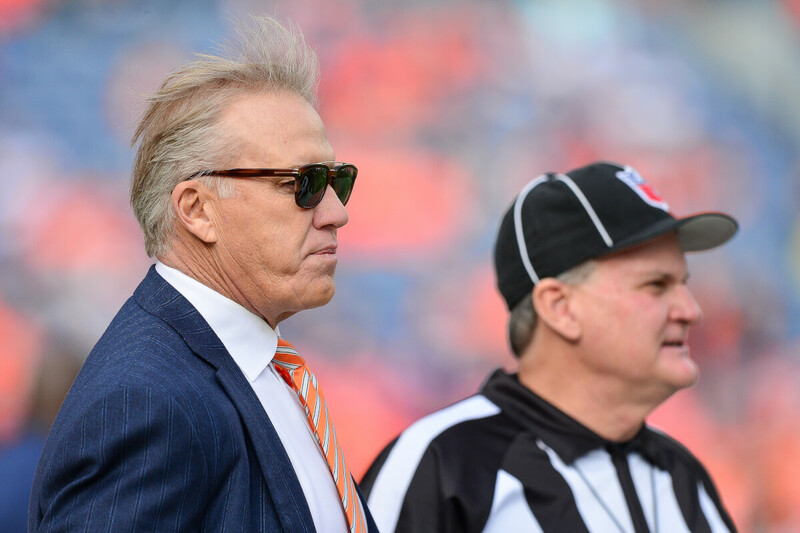 When Jon Elway was taken first overall by the Baltimore Colts in the 1983 NFL Draft he refused to play for them. After spending a year in the Yankees farm system, the Colts traded Elway to the Broncos where he went on to become one of the greatest QBs of all time. When Elway retired, he took time off to enjoy life before diving back into the NFL as the Broncos GM. He helped craft the Peyton Manning lead Broncos that won the Super Bowl and is currently responsible for the Case Keenum led “new-look” Broncos. Troy Aikman was a revelation for “America’s Team” in the ’90s. Alongside Emmit Smith and Michael Irvin, the Cowboys were an unstoppable force in the NFL world and won three Super Bowls together. 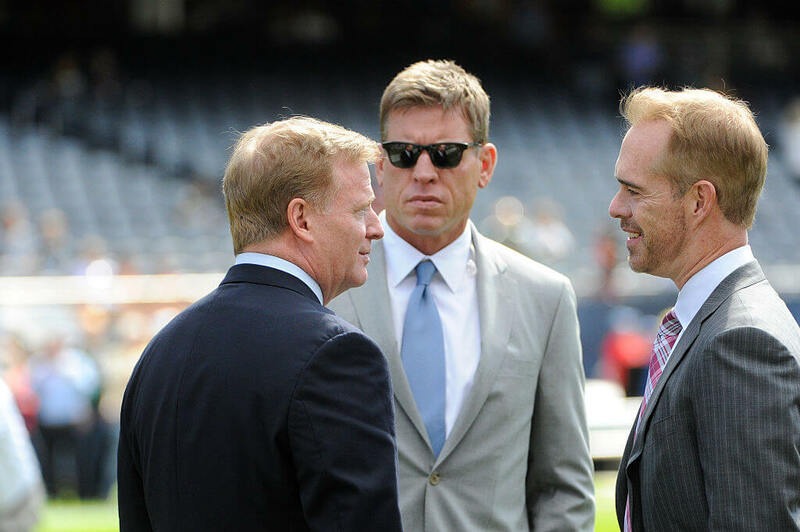 When Aikman decided to hang up his cleats, he had no desire to get near the field again. Instead, he moved into the luxury box, taking a job with FOX to join Joe Buck in the booth on Sundays calling games. Not a bad second career for the Hall of Famer! Jim Kelly’s Hall of Fame career has, sadly, been overshadowed by his health struggles since leaving the game. In 2005, his son died after being diagnosed with Krabbe disease. Kelly started a non-profit in honor of his son to bring awareness to the ailment. Unfortunately, things didn’t get better. 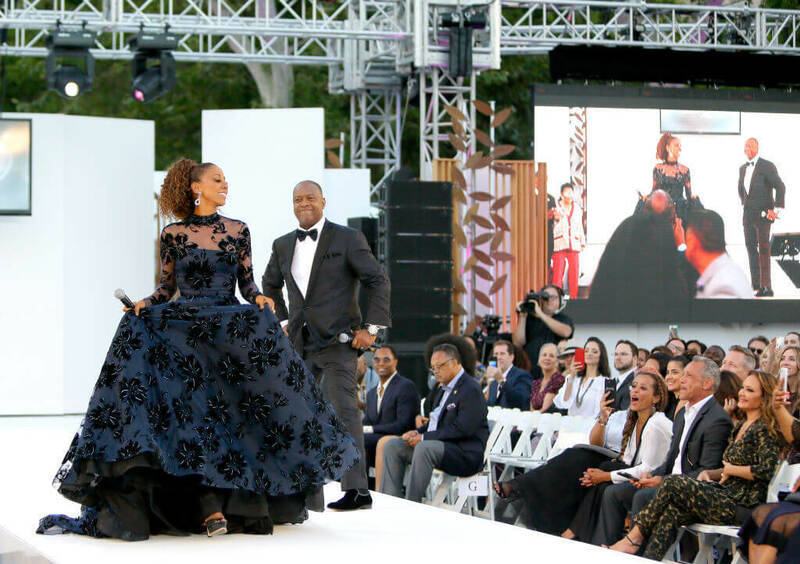 In 2013, Kelly announced he has been diagnosed with cancer. Treatment was successful, but cancer came back in 2014, then again in 2018. For persevering through all his struggles, Kelly was honored with the Jimmy V Award at the 2018 ESPYs. 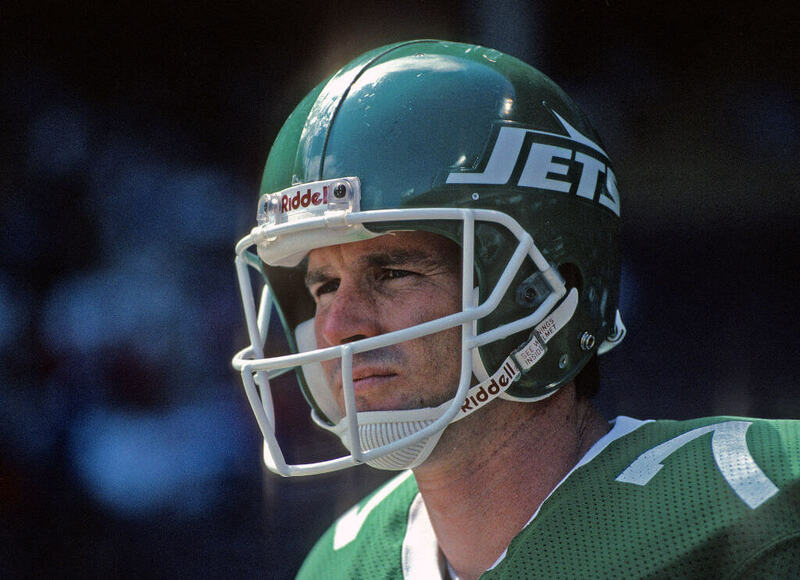 Ken O’Brien isn’t a Hall of Fame quarterback, but he is one of the best to ever don Jets’ green and white. During his 10-year career, O’Brien amassed 25,000 total yards and was selected to two Pro Bowls (1985 and 1991). In 1993, O’Brien joined the Eagles for one year before retiring. O’Brien found a new calling financial management off the field, making a profitable second life for himself. He didn’t escape the NFL entirely, though. He is noted for helping tutor college quarterbacks before the draft, including Super Bowl winning quarterback Nick Foles. 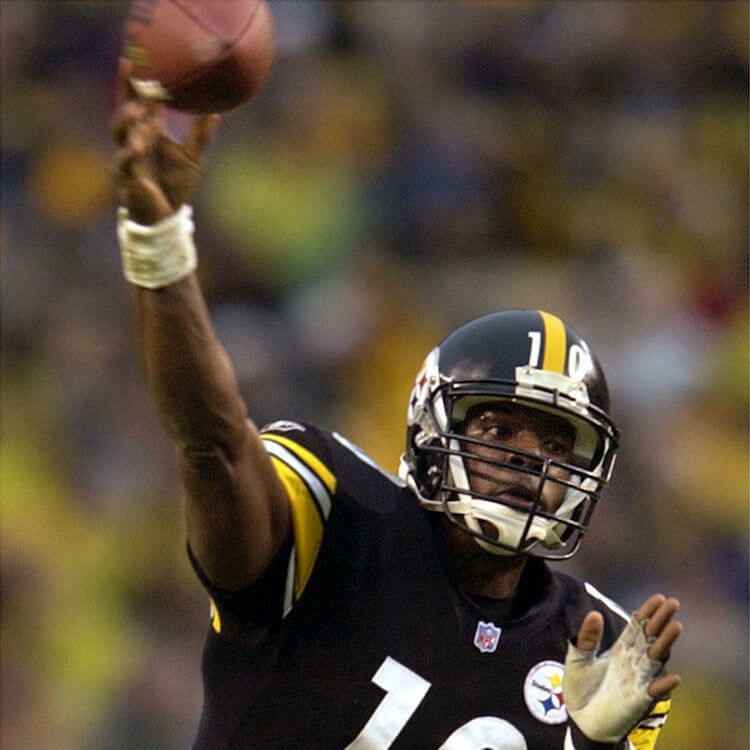 Kordell Stewart was an above average NFL quarterback. He had an exciting playstyle which led to him gaining a healthy fan following. HIs arm wasn’t the greatest, but he was able to scramble with the best of them. At any moment he was liable to perform a highlight reel play. After his retirement from the NFL, he started to do a lot of analysis. He also has hosted his own radio show. There was even a point where he considered returning to the NFL, but that never happened. 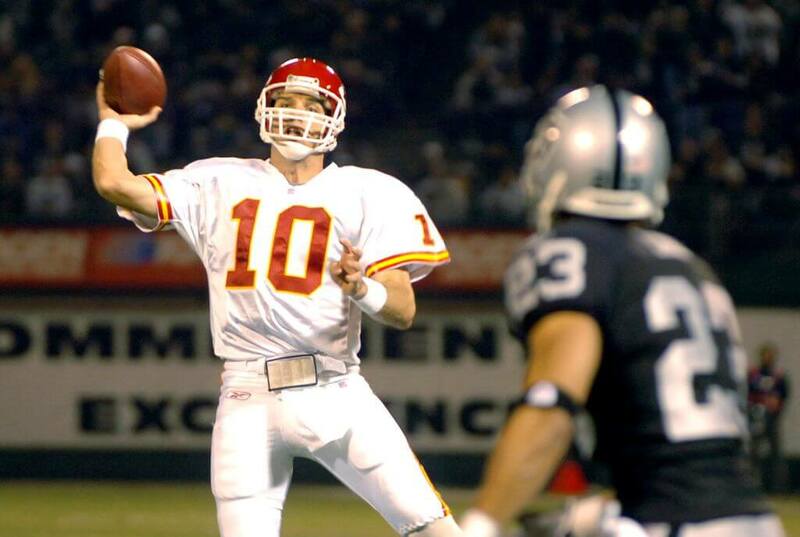 Many anticipated Kerry Collins to be a stud when he headed into the NFL as the 5th overall pick. The Panthers chose him in 1995, but Collins had problems with alcohol and that caused an early departure from Carolina. He ended his career in the top-20 all-time in total passing yards. He retired in 2011 and had music aspirations, specifically songwriting. Collins has had a few of his songs recorded by different country artists. He also has a farm in Tennessee and a ranch in North Carolina. 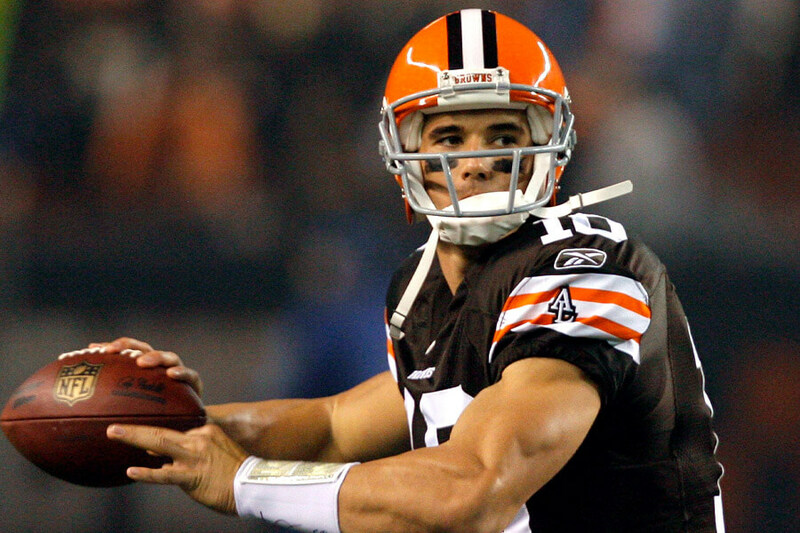 Trent Green overcame being drafted later and a stint in the CFL to becoming a pretty decent quarterback. He gave the Chiefs a solid and consistent play at the position and even gave them some nice season outcomes. He was overlooked by many of the other greats during his era. Upon retiring, he took the route that many others take and that’s getting into broadcasting. He is now an analyst for CBS and does enough work to earn himself a humanitarian award. Quincy Carter was supposed to be replacing Troy Aikman over in Dallas, but the Cowboys couldn’t develop him into a franchise quarterback. After that failed, he bounced around some teams and eventually into smaller leagues outside of the NFL to try and stay in shape. The NFL just didn’t pan out for him and Carter transformed into a youth football coach in Georgia. Not too long ago, he was playing for the Corpus Christi Fury for the American Football League but stopped in 2016. The Cardinals attempted to develop Jake Plummer into a franchise quarterback, but he just didn’t have it. He wasn’t flashy nor did he garner any attention on the field, however, at his best, he was still a pretty good quarterback. As of now, he took the route many other retired athletes take and became an analyst. He works for the PAC-12 network and started back in 2013. And surprisingly, he’s been prevalent in the handball world. 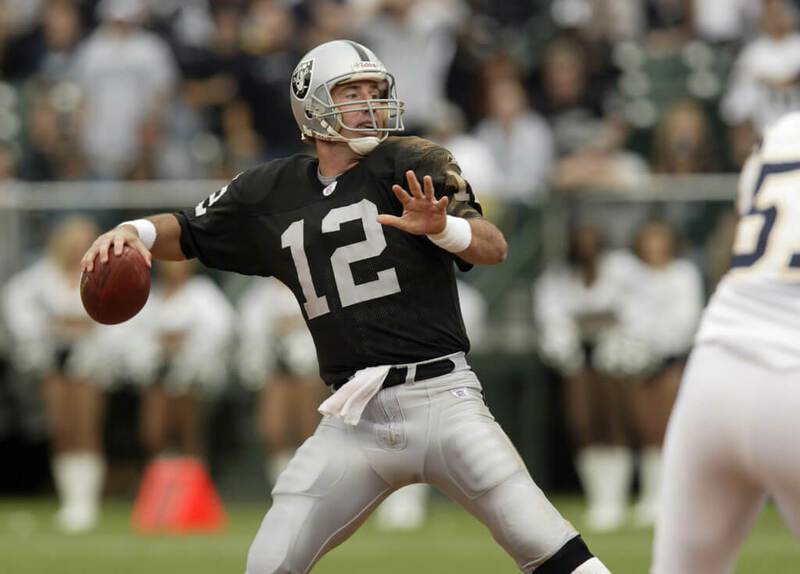 Remember Rich Gannon? The quarterback played eighteen seasons with the NFL, but it was a long time coming until he got the respect that he deserved. From 1987 to 1992, Gannon was with the Minnesota Vikings, who actually wanted to turn him into a running back. He then had brief stints with the Redskins and the Chiefs before signing to the Raiders in Oakland as a free agent. It wasn’t until then that Gannon was awarded NFL MVP after helping the Raiders get to the Super Bowl in 2003. Officially retiring in 2005, Gannon became a sports analyst for CBS and satellite radio. 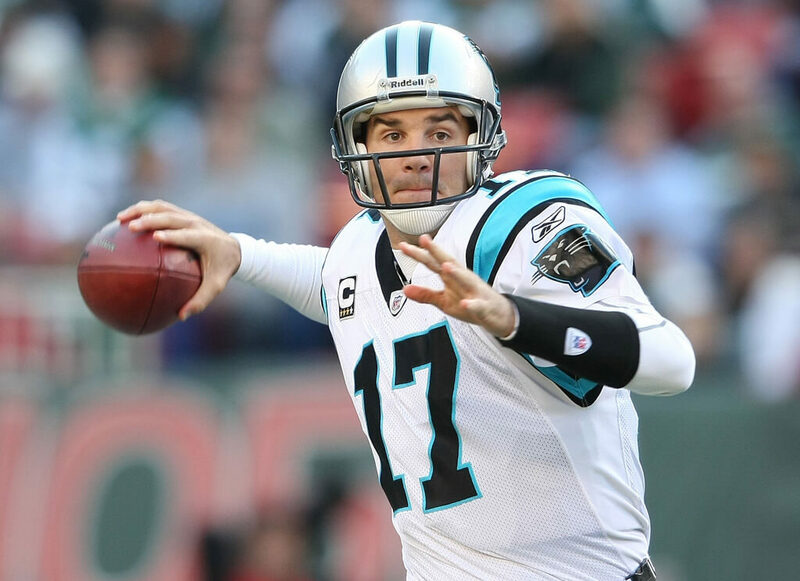 It’s pretty amazing that in just five short years, Jake Delhomme went from an undrafted rookie with the Saints to become a franchise quarterback with the Panthers. Delhomme thrived in Carolina and actually held most of the team’s quarterback records until they were recently broken by Cam Newton. At the very least, Delhomme took Carolina to the Super Bowl in 2004, but they lost to the Patriots. After retiring, Delhomme became a spokesperson for southern fried chicken chain Bojangles and is often featured in commercials. On top of that, he is the Chairman of the Board for Mid South Bank. Jimmy Clausen was only an NFL quarterback for five short years, but everyone seemed to make a big deal about him before he was drafted just because he went to Notre Dame. Clausen was the second-round pick of the Carolina Panthers in the 2010 draft, but he’d ultimately end up hopping around to the Bears and then the Ravens. These days Clausen no longer plays with the NFL. In fact, the last time he played “professionally” was with the American Flag Football League in 2017. Since then he has been seen helping other QB’s with their skills. Clemson alum Tajh Boyd was drafted in the sixth round of the 2014 NFL Draft by the New York Jets, which should probably tell you a lot about how his career panned out. He was even featured on Gruden’s QB Camp but it didn’t do a whole lot because the Jets released him the same year they picked him up. Boyd then signed with the Steelers in 2015 and was swiftly released and the same thing happened with two teams in the Canadian Football League. Boyd is officially out of the game these days and he is currently the Head of Sales for Resort at Lakeside Resort close to Clemson. After playing for Georgia, Murray entered the NFL when he was picked up by the Kansas City Chiefs in 2014. After they released him, he had brief stints with the Cardinals, the Eagles, and the Rams (in Los Angeles). He’s had a pretty unremarkable NFL career but he’s still technically a free agent. He may not be on the field these days but after being released from the Rams in 2017, he signed on with CBS Sports Network to become a sports analyst. He’s only 27, so there still might be some time on the field in his future.